Rahul Dravid: Higher than The Wall! This article has been written by Kunal Pradhan, a columnist for The Indian Express. At a Thai restaurant in Islamabad, after the first day’s play in the final Test in 2004, Rahul Dravid politely declined to stay for dessert, saying he needed to sleep because he had to bat the “whole day tomorrow”. Not early, not in the morning; the whole day. It led to a few involuntary sniggers at the dinner table, but Dravid had chosen his words carefully. Ten not out overnight, he was unbeaten on 134 when stumps were drawn the following evening. And then, for good measure, he batted almost the whole of the next day as well, finishing on a career-best 270. It wasn’t the most attractive knock, and not nearly his most fluent — in fact, at 12 hours and 20 minutes it was the longest innings by an Indian player ever — but Dravid had ensured, almost single-handedly, that India won their first Test series in Pakistan. Adelaide, Kolkata, Leeds, Kingston — he will be remembered when, years from now, people talk about what had happened in those cities at the turn of the century. For, scratch a famous Indian victory, and you will uncover a Dravid gem underneath. Through his career, he has been associated with hard, unwavering grit with a bat in his hands and soft, natural refinement off the field of play. It’s been hard to pick between the great batsman and the perfect gentleman. 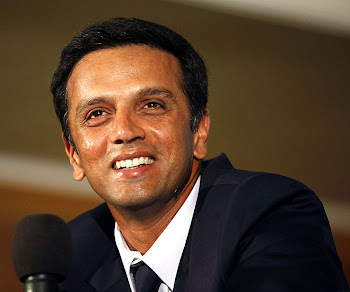 But, as the French philosopher Voltaire said, “The best way to be boring is to leave nothing out.” So, while Dravid invoked deep admiration and steadfast affection, he did not immediately move fans as much as some of his more naturally attractive peers from this generation of astonishing batsmen. Perhaps history will judge his true place in Indian cricket, and put him higher than the fifth or sixth place he occupies on the list of most experts. Perhaps history alone will finally realise that “The Wall” is too simplistic a nickname for a batsman of his ilk. I’ve always believed that Dravid’s famous sobriquet is completely misplaced. As a batsman, he is skillful and prudent, with far more character than a block of brick and mortar. Maybe, at times, he stood firmly like a defensive barrier. But they weren’t necessarily his best moments. There were more occasions when he attacked the very heart of the opposition. “The Wall” barely begins to describe him, so how can it sum him up? There was a time when Dravid was in grave danger of being consumed by his own quest for technical perfection. Former Australian captain Ian Chappell once said he needed to be told that matches were won not by hours but by runs or wickets. In those days, when he did manage to get a big score, he was invariably overshadowed by a colleague. Right from his debut 95 at Lord’s in 1996 (when Ganguly cracked 131) to the 148 at Headingley in 2002 (when Tendulkar trumped him with a 193). But at The Oval in the following Test, Dravid smashed a flawless 217. The next highest score was Tendulkar’s 54. The spell was broken, and there was no looking back after that. This week, seven years later, there were glimpses of the Dravid we know so well in his 177 at Ahmedabad. But the innings was different because it seemed to have the fluency that usually comes only with abandon. Beaten by Dammika Prasad midway through his knock, he hammered the next ball down the ground for four. The Dravid of old would’ve never done that — he would’ve scarcely scored a run for the next few minutes, cross with himself for the momentary lapse of concentration. Treated unkindly by the national selectors with his sudden inclusion and abrupt exclusion from the one-day team in recent weeks, one might say it was Dravid’s way of showing he should not be trifled with. But, knowing him, that was perhaps the last thing on his mind. He is too clever a student of the art of batting to let anything come in the way of the next ball, next over, next session. Dravid fell early on the second morning of the Test, having already made a statement with his most entertaining century since Adelaide 2003 — removing not just the scars of the recent one-day snub but also, to an extent, of his only modestly successful stint as captain that ended suddenly in 2007. The innings was significant for all those reasons. But, situationally speaking, there was nothing new. India was in trouble, and Dravid, its great No 3, batted the whole day again. A Great Pleasure reading this article. When it comes to Dravid, I can only sum him up by saying " a true gentleman and the best No.3 batsman ever played for India. " The way Dravid looks the game says it all. He doesn't enter the crease where you have a good partnership built earlier on indicating a lateral movement from the pitch fancying the batsmen,, infact he enters in such a situation where there is a lot of hardwork to be done inorder to atleast lose the match with some pride. Going into the middle when your team has lost three or four quick wickets cheaply and then batting till the stumps on that day to ensure that something can be done in the folllowing day. In the very next day, he starts up with a cover drive then comes all the shots in the book. Dravid does not play the shots, infact he carves them to the perfection. He not only makes sure that India avoid the follow on but most importantly gives some thing for the bowlers to bowl upon in the second innings. I dont understand how to name his shots, may be I can say that they are classical ones which are timed perfectly and a beautiful piece of art carved from the willow of his bat. I especially likes his determination when he was axed from the team. He went on to score a crucial double ton for Karnataka and made selectors look apologetic for not picking him in the national side. He always make his bat do the most of the talking. His concentration, self-belief and determination are the one which he honed through years of playing the game. A true gentleman, best slip fielder , best no.3 batsman ever ,, I pray for all the success in his life..
Good one.Thanks for your comment. In the last series we played in New Zealand, I think it was the second test, Rahul Dravid commented on how good batsmen should play. When people talk of playing their natural game, they take away the requirement of playing for the situation. Just because they have the confidence or the repertoire to play expansive shots, doesnt mean that they should play them. Rahul Dravid, during his entire career, has always played according to the situation. He would always understand the need of the hour and adapt himself for that. That is why he continues to be the prized wicket for any bowler. Unfortunately the media and more so the fickle minded zealots cannot understand this great spirit. Anyway, I hope the BCCI plans more tests in the future. you charactrized dravid's significance at its best.if i were to post a name it would be the "perfectionist"
India will need RH for the SA tour to India. I truly hope he recovers by then. I have no doubts in my mind that he is the greatest of all cricketers to have played for India.